The York Museum’s Trust has announced that Sir David Attenborough will be opening its new exhibition, Jurassic World, and York schools can enter a competition to meet him. The exhibition will officially open at Yorkshire Museum on 23rd March this year. 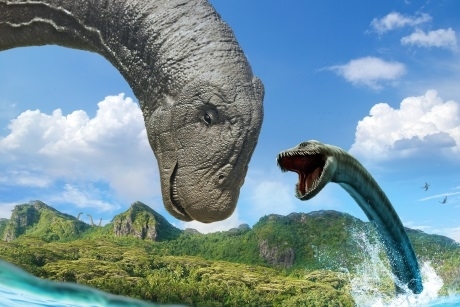 During the opening, naturalist and television presenter Sir David Attenborough will take a guided tour of the exhibition which looks at the changing landscapes of Jurassic Yorkshire and the huge creatures which inhabited them. York Museums Trust is calling classes from both Primary and Secondary schools within the city of York to take part in a competition to meet him. Each winning school class will have the chance to ask Sir David Attenborough questions during a question and answer session at the exhibition opening. To enter the competition each school is required to submit three questions per class that they would like to ask Sir David Attenborough on the theme of the natural world. The winner will then be invited to the opening. All entries should be submitted by e-mail to schoolcompetitions@ymt.org.uk by 5pm on 28th February. Sir David Attenborough commented: “I am delighted to be coming to York to open Yorkshire’s Jurassic World. I have been interested in palaeontology and the world of dinosaurs and sea dragons since I was a child. It remains a subject which still fascinates and excites me to this day. Reyahn King, chief executive of York Museums Trust, said: “We are thrilled that Sir David Attenborough is able to join us for the opening of Yorkshire’s Jurassic World. For more information, visit www.yorkmuseumstrust.org.uk.